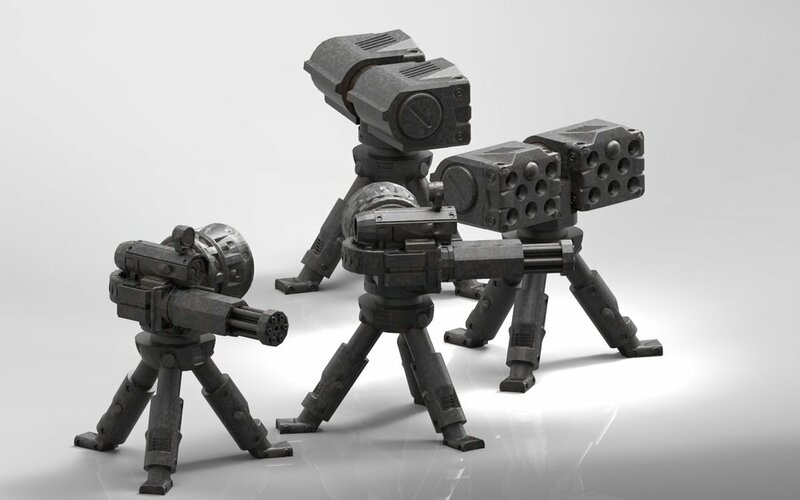 Cerberus Class proximity turrets are perfect for areas requiring a less active military presence, allowing you to maintain an active deterrence against aggressors. Featuring intelligent IFF computers and fast response times in even the most obscured, dusty, and smoke field environments, Cerberus turrets are a worthwhile investment for PMCs unable to field mobile units for perimeter defense and control. They are available in anti-infantry and anti-armor configurations.